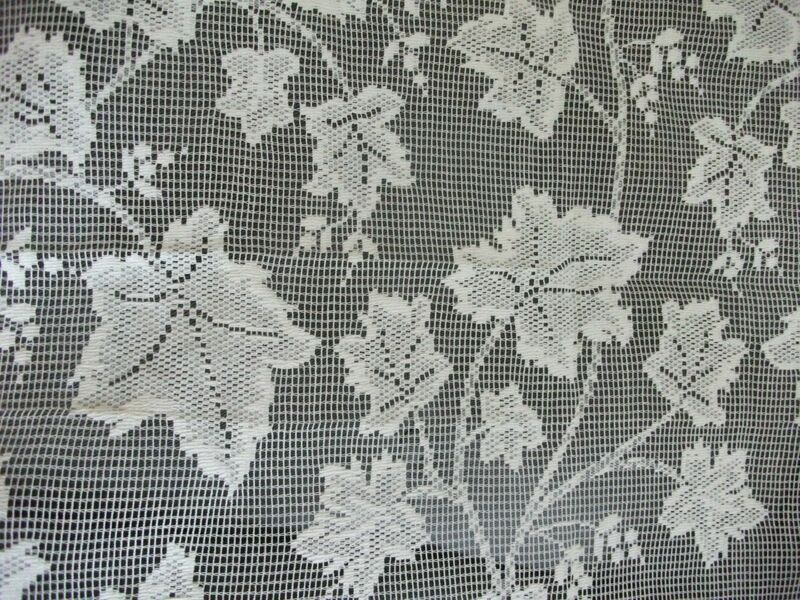 Traditional Genuine Vintage Cream colour Cotton Scottish Lace Panel 52W x20. 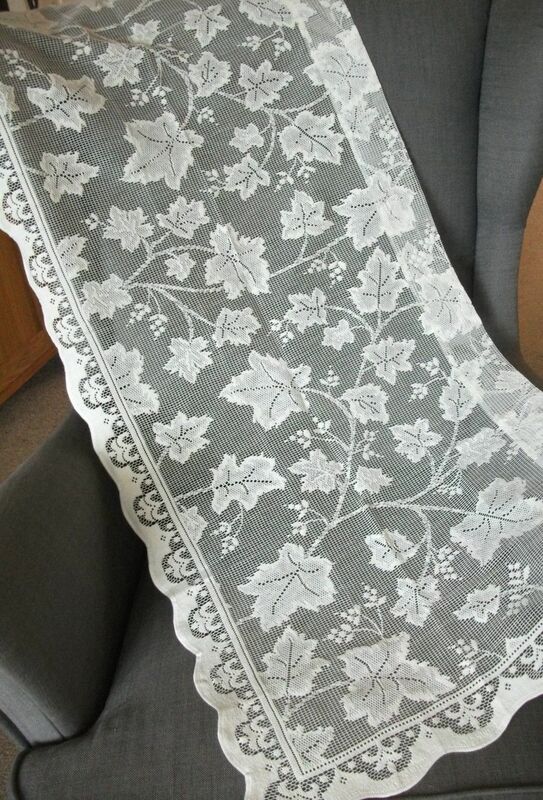 This is a genuine, cream in colour, unused vintage Scottish lace finished cafe curtain / valance panel which is nominally 52 inches wide and 20 inches drop. Ready to hang. 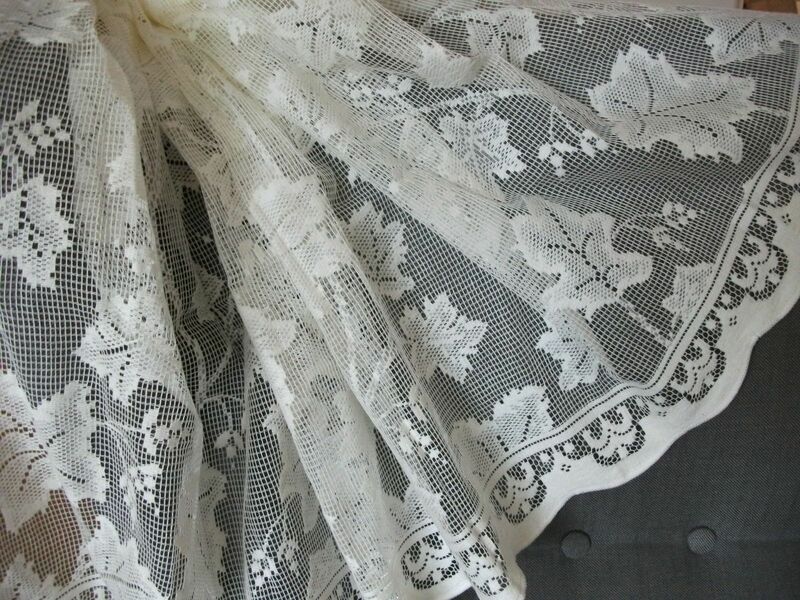 It is a gorgeous, fine lace valance panel manufactured in Scotland by a now closed down manufacturer. The panel is in excellent original condition, never having been hung. The design incorporates traditional trailing vine leaves with classical shapes to the borders of the panel. The bottom and both side edges of the panel are scalloped. The top is sewn over to form a pocket for the curtain wire or rod. 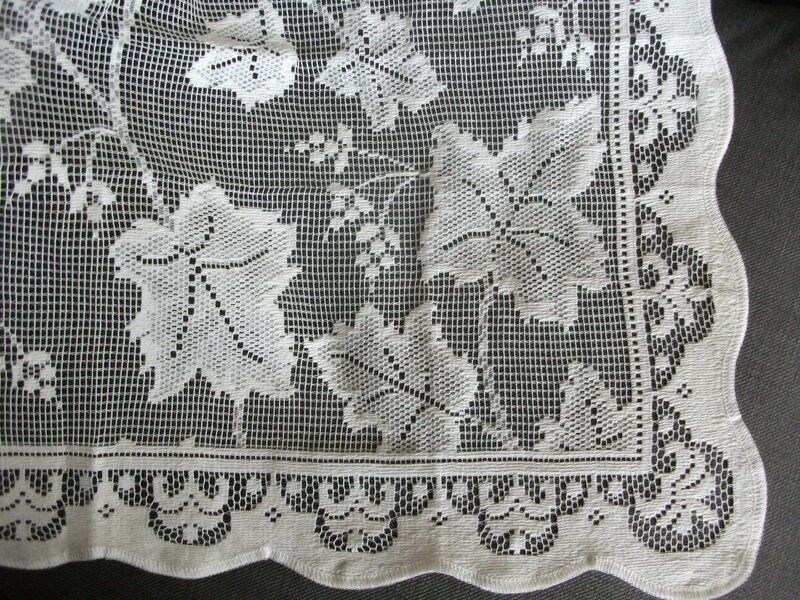 The pattern will blend well in any traditional or contemporary modern style home therefore, being appropriate for anyone who can appreciate the finest quality British cotton lace. Fibre :95% Cotton, 5% Polyester. Colour : Cream. Gentle hand wash 40oC or cold water wash. This beautiful genuine UNUSED vintage Scottish Cotton lace is from a batch of old stock bought from a retailer who closed down and still has the original label on. 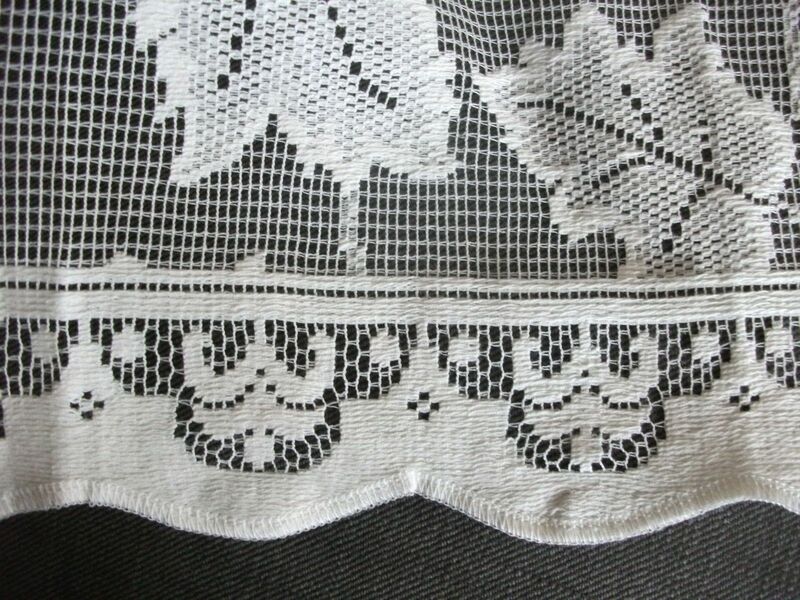 This curtain valance panel was made in Scotland using original, traditional Nottingham lace manufacturing machines and techniques by a top quality manufacturer and probably dates from the 1980's. 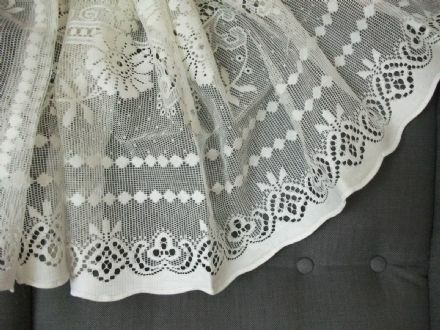 Please remember that this is UNUSED but vintage lace, by definition, it is not new and therefore may have some imperfections due to the passage of time.